2018’s gearing up to be a year of probable blockbusters on the silver screen. From epic Marvel films to Lady Gaga bringing her best, it looks like there will be a lot of worthwhile projects to see. LAS VEGAS — Bradley Cooper said that Lady Gaga is “kind of a revelation” in A Star Is Born. Cooper has spent three years on the project, writing the screenplay, directing as well as singing live onstage in concert venues for the modern remake of the classic Hollywood tale. “She said, ‘What I cannot stand in movies is when its playback and you can see they’re lip-syncing. We’re going to sing live.’ ” Cooper recalled. That is one of the biggest, most daunting challenges of the movie. The two performed, with Cooper playing the guitar, in front of real festivals such as Stagecoach, Coachella and England’s Glastonbury. 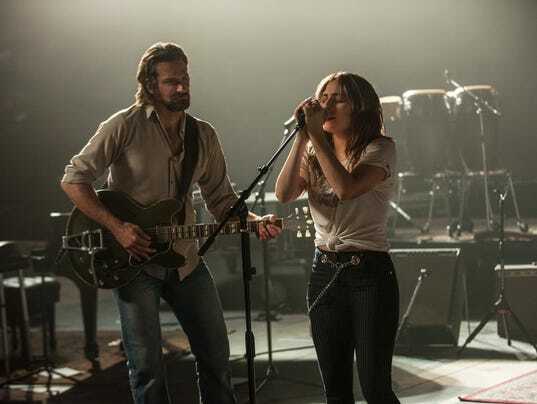 The relationship paid off in the trailer featuring raw performances with Gaga playing an insecure performer Ally, and her famous musician mentor Jackson Maine. A Star Is Born will be released in the awards friendly date — Oct. 8.